We’re an award-winning email team that focuses on creating captivating, engaging campaigns that connect subscribers on an emotional level and thereby drive measurable conversions and a high ROI. We challenge our clients to think creatively and strategically on each thoughtful message while applying industry-leading best practices. Bluetent’s ACE Suite of Email Solutions are designed to provide value and develop an emotional connection with your brand from the initial lead to the confirmed reservation and beyond. All of the features and technology needed to create inspiring email campaigns designed to increase engagement and producing the highest ROI. Nurture future, current, and past guests with automated messaging that anticipates their needs based off insightful actions. Increase velocity of reservations by allowing users to share their favorite properties with family and friends. 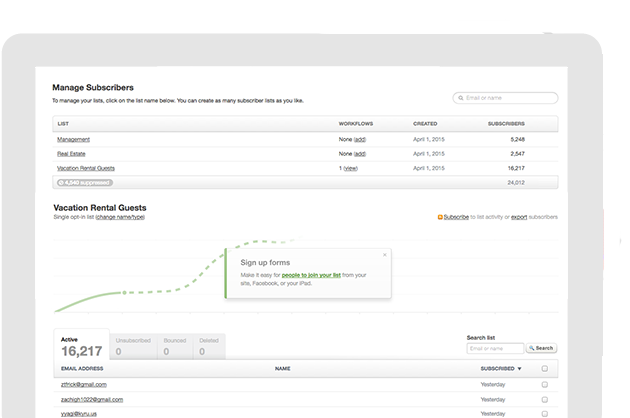 Re-engage users and turn abandoned reservations into confirmed guests with thoughtful reminders. We’ll do the work, you’ll see the results. Let our email team craft beautiful, profitable campaigns for you. Create your own email campaigns using custom templates designed to match your branding by one of our dedicated project managers. Work one-on-one with our email team to refine your email marketing strategy. With 66% of all emails being viewed on a mobile devices, it is more important than ever before to build beautiful emails that adapt to every device. 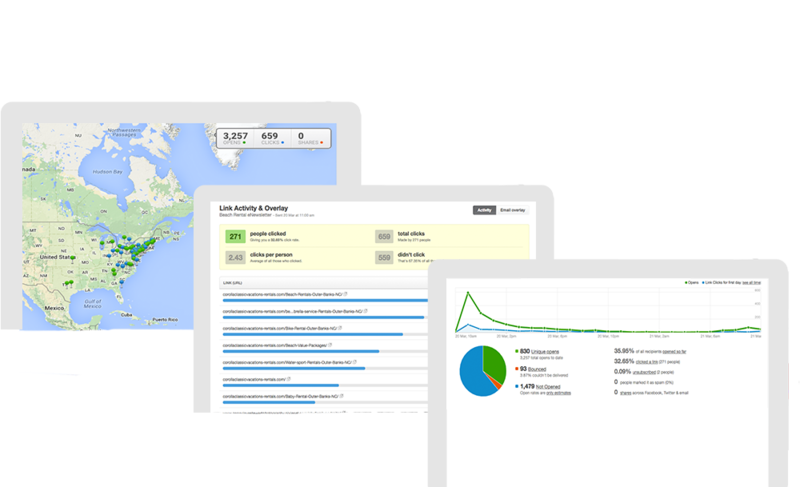 Capture lost conversions with optimized mobile and tablet versions of your email campaigns. 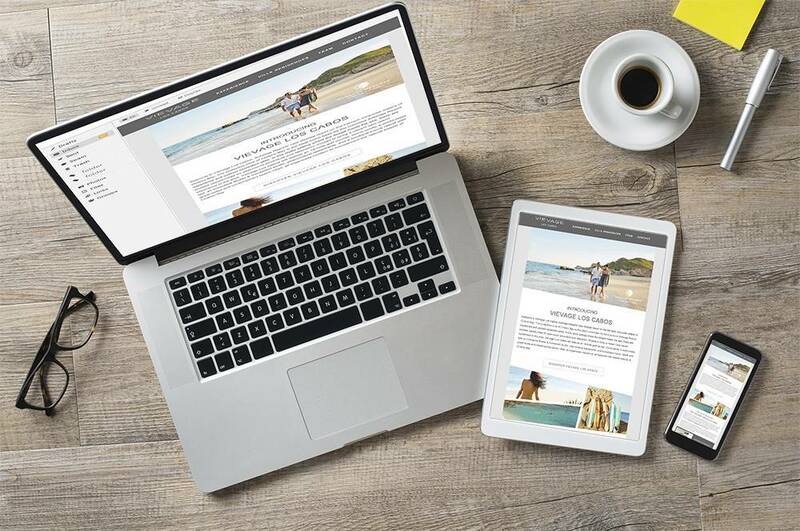 Bluetent’s email designers are fluent in beautiful email, and will create a custom look for you and your brand that inspires travelers and drives conversions. The health of your email list has a significant impact on how well your campaigns perform. We can clean up your existing list, design an enticing opt-in process to encourage list growth, create segments, and maintain your list as your audience grows. In email marketing, A/B testing is a way to discover which of two or more campaigns drives the most opens or clicks. 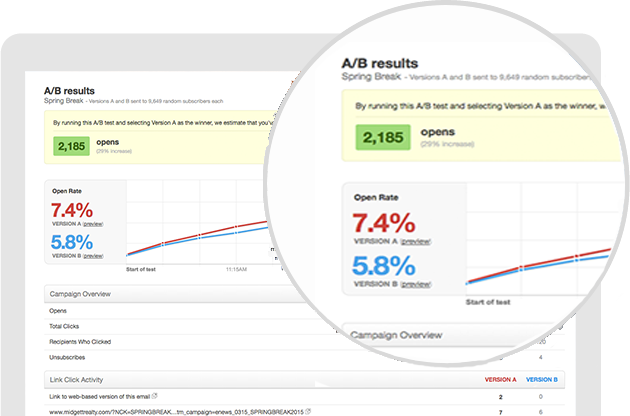 In an A/B test, we send 2 variations of one campaign to a small percentage of your email list and measure their effectiveness. The most effective campaign is sent to your remaining subscribers, ensuring that your campaigns see the highest ROI every time. Get to know your audience better with our comprehensive campaign reports. Google Analytics and our additional reporting tools are integrated with each campaign to provide all the data you need to measure the success of your campaigns. With all of this information at our fingertips, we can craft email campaigns that inspire your audience to dream bigger and travel farther. 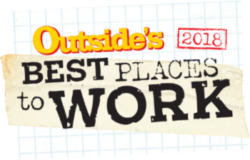 Want to learn more about Bluetent's award-winning email marketing? Drop us a line. Overall I have been impressed with both the email and development departments at Bluetent. They always take the time to get a full scope of the project or goals; this simple consultation helps to mitigate confusion and respectful of budgets. Our email project manager Ryan Austin has helped to form our email goals based on our ideas and took his care in handling this potentially confusing project to re-engage stale leads. His tips are always helpful! The things to me that I love about Blue Tent are how accommodating they are, they are always willing to do last minute work, the creative work is always above and beyond what we ask for and very timely with responses. Personally, I love working with Ryan, somehow our aesthetics are in sync! When he sends me a proof the creative is exactly what I was envisioning but can never explain it in a word doc. I actually just got a call from the owner, which was a first for me, and he complimented the latest eNewsletter design. Keep up the great work!